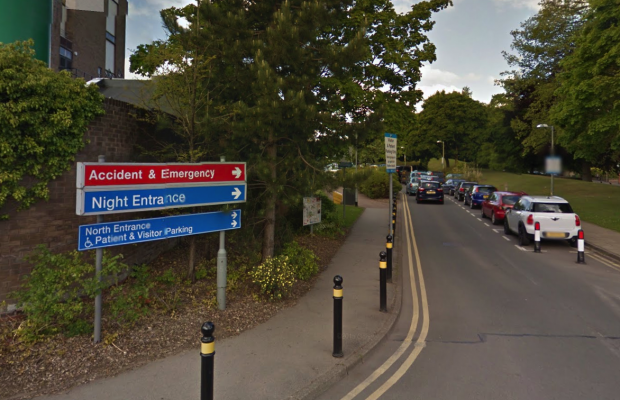 Macclesfield hospital bosses have taken the decision to reduce patient numbers by only treating people who live in East Cheshire rather than those across the border in Derbyshire. With immediate effect, several procedures will no longer be available – including general surgery; endoscopy; gastroenterology and cardiology – having already stopped treating Derbyshire patients for dermatology issues. The move does not impact on patients with pre-made appointments – only new referrals –and the Trust hopes it will be a temporary measure. High Peak MP Ruth George said: “It is very worrying that Macclesfield Hospital has felt it has to close their doors to Derbyshire patients in so many departments in order to meet targets. “It is yet another sign of the strain on the NHS across the country but will have a real impact on High Peak residents as Macclesfield is the most convenient hospital for many of us. I have asked North Derbyshire CCG what they are doing for High Peak patients due to attend Macclesfield Hospital and I have written to Macclesfield Hospital to urge them to open their lists to High Peak patients again. Speaking about the decision, East Cheshire NHS Trust’s director of nursing, performance and quality Kath Senior, said: “Regrettably, we are currently not accepting new outpatient referrals for our cardiology, gastroenterology and general surgery specialities for patients outside of our normal eastern Cheshire catchment area. “This decision was not taken lightly and is due to patient demand far exceeding our capacity in some specialities. We must ensure clinical standards are maintained.